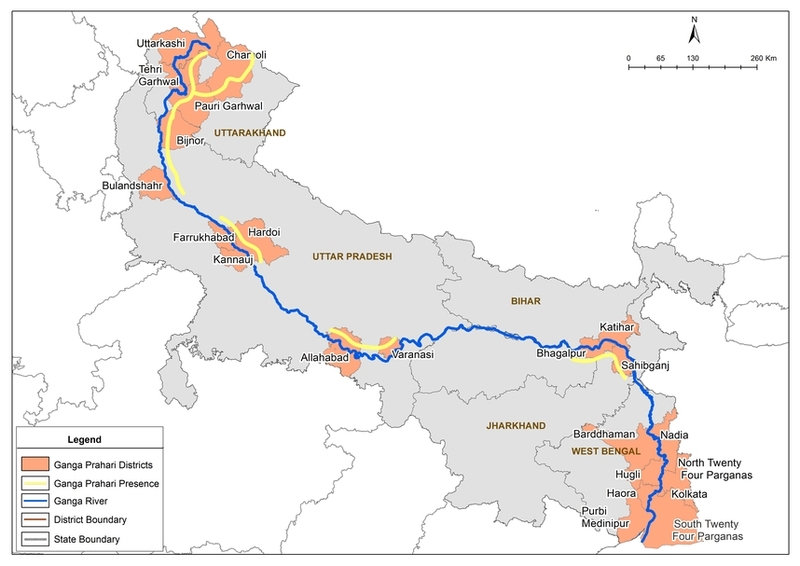 Ganga Praharis will mobilize the local communities and in turn link them to various Ganga biodiversity conservation initiatives. The role of WII shall be of guidance and facilitation. The implementation of joint actions between institutions and local actors strengthens conservation and management of resources. For this Ganga Praharis of all the five states will be linked with NMCG portal through mobile applications (such as Bhuvan Ganga, mygov.in, swatchta app.) creating a broad network of trained and motivated manpower.